This is my work for the staff bistro located on college campus at Rye house. My work was to promote awareness of the bistro to all college staff. 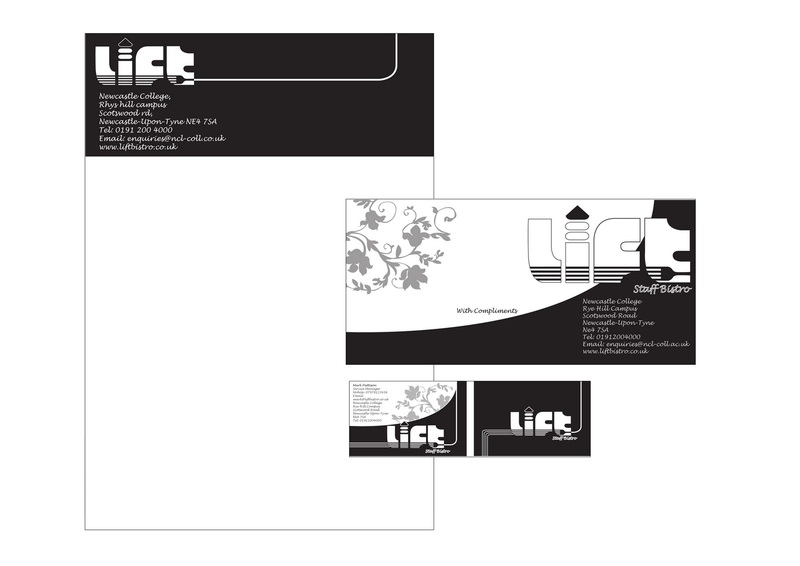 We had to create a name and logo and design a letterhead, compliment slip and business card. I came up with the name lift, as the bistro is placed upstairs and the bistro should give customers a physical "lift" due to the natural and organic healthy produce sold here. Reflecting on my work i think my designs were pretty standard. The letterhead is a-bit boring perhaps some colour or imagery would of made this better. 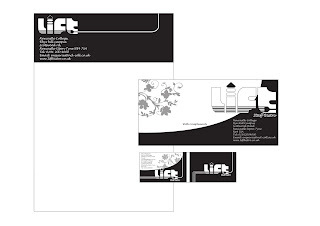 My opinion is that the business cards and comp slip were stronger designs, there is a good balance of black and white with an upwards curving line to represent "lift". 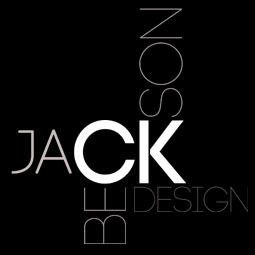 My main typography i created is big, curvy and bold to help stand out but also give out the right tone of voice. Influenced by floral patterns of the victorian times i brought in a floral design to help give a warm friendly feel.